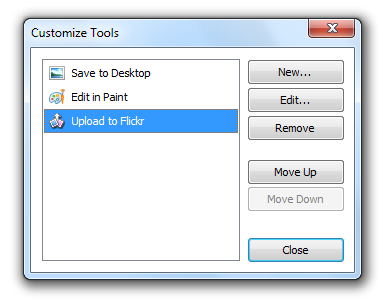 Step 1: Download and install Flickr Uploadr from the Flickr tools. 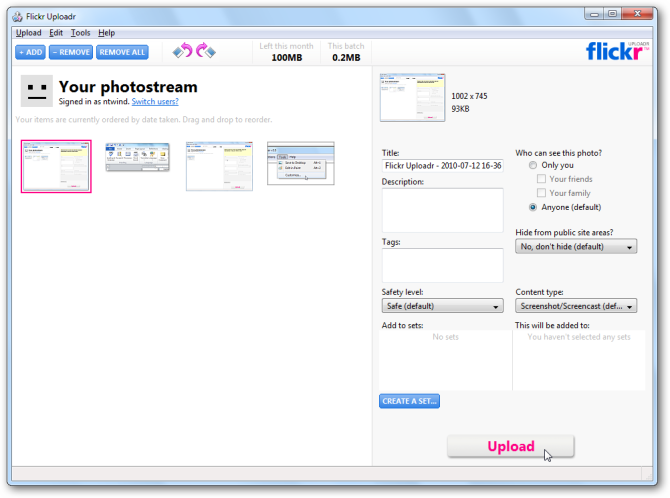 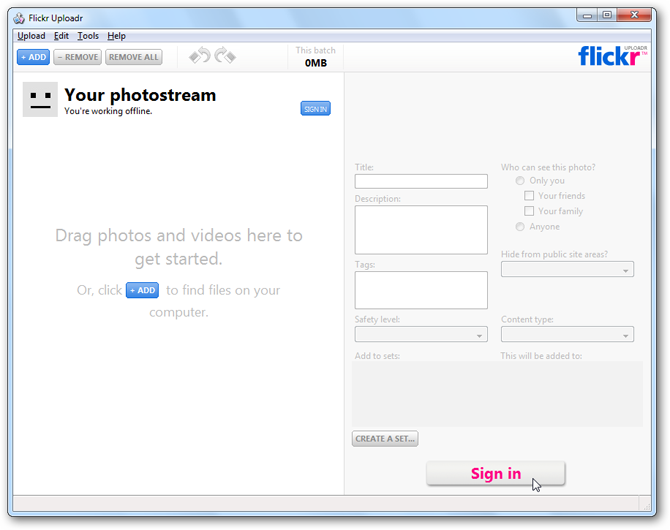 Step 2: Run Flickr Uploadr once, sign in and upload one image to your Flickr account manually. 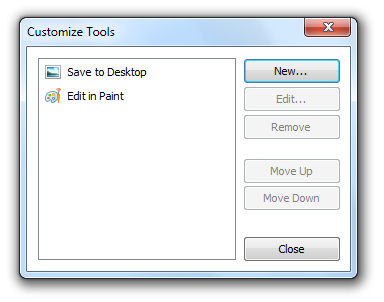 Step 3: Now run WinSnap and select Tools | Customize… from the main menu. 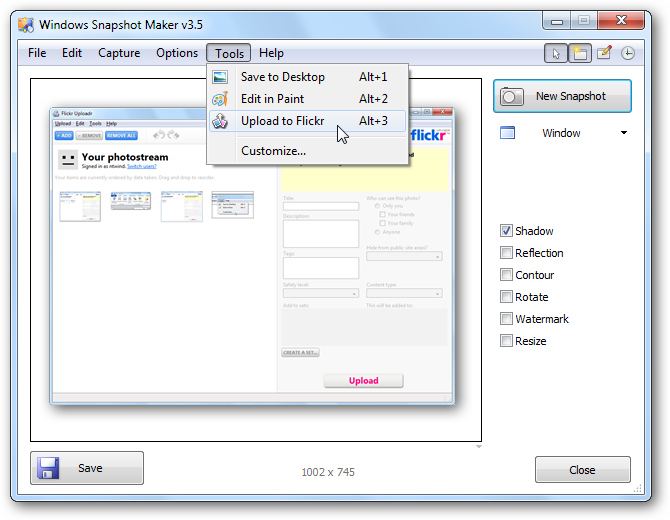 Click New and fill in the data as shown below (note, the parameters may differ depending on your system configuration). 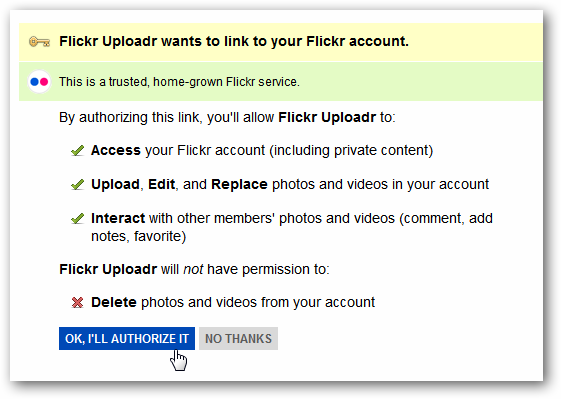 Click the OK to add the “Upload to Flickr” command to the menu. 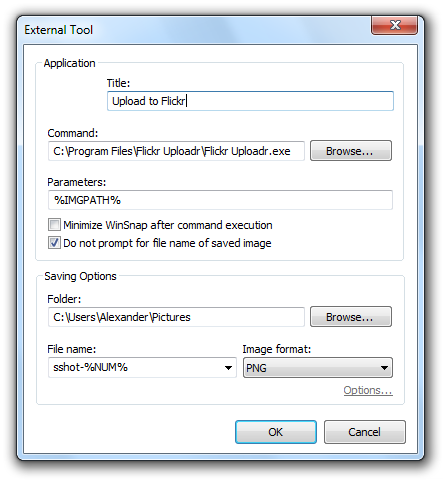 Now, when you take a screenshot with WinSnap, you can automatically upload it to Flickr by clicking the “Upload to Flickr” command or pressing a predefined keyboard shortcut (Alt + 3, in this case). 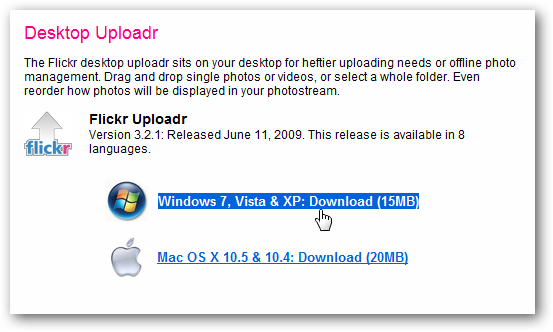 ImageShack configuration is quite the same, except that you will need an ImageShack uploader tool instead.